The Coen brothers did it again. 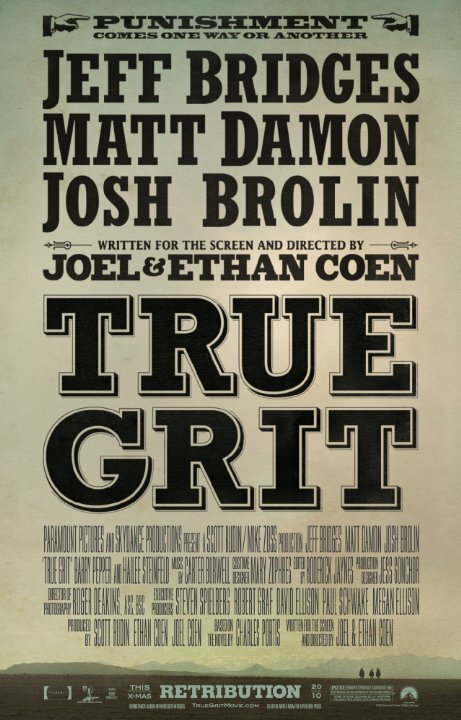 The Coen Brothers did it again, they remade an old John Wayne movie and did a great job at it. The violence wasn't too bad, it was just right and Jeff Bridges who plays Rooster Cogburn did the best acting job I have seen in a very long time in modern day movies. The cinematography was just excellent, I forsure give this move 9 guns out of 10 guns. Good job Coen Brothers at making one of the best westerns my eyes have ever seen. The acting is brilliant in this remake of the John Wayne classic. The Coen Brothers make another great film. If you haven't seen this already, get it now. The best western since Dances with Wolves (didn't care for Unforgiven). Virtually every detail in this movie is not missed. The pacing is good, the dialogue is witty, and acting is near perfection. The Coen Bros have done it again. The story is kind of unique but definitely a western. When a 14 year old girl's father is murdered and she is the one to hire a gunslinging Marshall, you know that this could only happen in the old west. The choice to play the 14 year old girl was perfect. She is a good actress and may have a promising career ahead of her. The subtle twists and detailed cinematography keep you on your seat. No posts have been made on this movie yet. Be the first to start talking about True Grit!